Rakugo storytelling one of the oldest and most important of the Japanese arts. Shouwa Genroku Rakugo Shinjuu is the story of Rakugo and those who build their lives around mastering it, and of the fast-changing nation of Japan in the days after the great war. 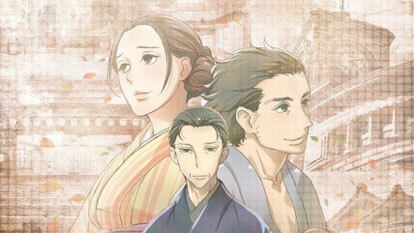 For Yotarou, Rakugo is a chance to build a new life after being released from prison. For Yakumo, it's a lifelong struggle to find his voice. For Sukeroku, it comes as naturally as breathing. Rakugo is what ties these three very different men's stories together, and what brought the woman who would change everything into their lives. On-stage and off, the stories of Shouwa Genroku Rakugo Shinjuu are truly unforgettable.